Welcome to Amy's Golden Touch. Amy has been grooming pets for over 35 years. The Boarding of both dogs and cats was added on to the grooming services, a few years later. Amy's love of animals drew her into this field and she has never looked back. Amy's Golden Touch has been established for many years and has an excellent reputation in the Apollo area. Not only do pet owners from the Apollo area bring their furry family members to Amy, people from all over the Alle-kiski Valley trust Amy with their pets. As you take a look through Amy's Golden Touch website, you will get the feeling that this is a safe loving place to bring your pets. As you will see, Amy lives on the same property and either she or someone else, is literally within a few yards of your pets, at most times. 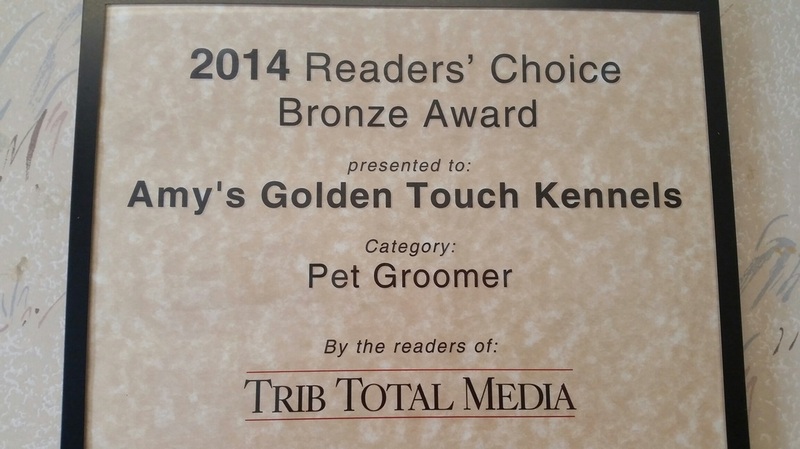 If you are looking for a place to bring your pets for grooming and or boarding, give Amy's Golden Touch a call, You'll be glad that you did, and so will your pets.